Investigation: What happened to TeliaSonera in Uzbekistan? Communications company TeliaSonera has been shaken by a big scandal. A film shown on Swedish TV voiced suspicions that the management of this well known and large group of companies is involved in bribing powerful people and using corrupt business methods, in particular in regard to their Uzbekistan operations. The Swedish authorities reacted to the film quickly, and their police and independent auditors began an investigation, aiming to find out the legality of TeliaSonera’s deals to purchase companies in Uzbekistan. Following the initiative of their Swedish colleagues, Fergana has also decided to try to uncover the details of this curious and cautionary tale. TeliaSonera is a telecommunications group (one of the biggest in Europe), which owns an international chain of subsidiaries and associated companies, providing mobile and other communications services. The main focus of business development is in Eurasia, Scandinavia, Turkey and several former Soviet states and developing countries. The controlling shareholding is held by the Swedish and Finnish governments. The group also has minority shareholders, and is therefore a good example of cooperation between private investors and government capital. Before we begin our story, we must tell you that unlike their counterparts in government companies in the former Soviet Union, Swedish and Finnish public servants do not get directly involved in running the business, even if the business belongs to the government. The management of these companies, or groups of companies, follows certain principles: government representatives participate in general shareholder meetings, vote for members of the Board of Directors (or members of the Supervisory Board, as they are called in the former Soviet Union). In turn, the Board of Directors appoints executive (operational) management and sets the general strategy for business development. The powers of the management are clearly established by law, Charter and contracts, which are made with each one of the top-managers. This is why the situation when civil servants interfere in the every-day activities of the company, even if the largest stake belongs to the government, is almost impossible. In Scandinavian countries, the company, or group of companies, can belong to the government, but will carry out its business activities in market conditions, in a strictly competitive context. Today, TeliaSonera owns 94% in Coscom, which provides mobile and mobile internet services under the Ucell brand. The “cell” ending is typical of many of the brands belonging to the group, which are mostly used in Eurasia’s new markets. Here are some of them: Kcell (Kazakhstan), Azercell (Azerbaijan), Ucell (Uzbekistan), Tcell (Tajikistan), Geocell (Georgia) and Ncell (Nepal). When TeliaSonera bought Coscom in 2007, the company was quite a successful GSM mobile communications operator, had all the necessary licenses and permissions to use radio frequencies and held the third place in the market of mobile communications operators in Uzbekistan. By the beginning of 2007, mobile communications were no longer a luxury, the number of subscribers was growing and there was a need to attract new investors to mobile communications. By then it became obvious that the authorities were going in the direction of attracting new players to the mobile communications market in Uzbekistan, who were stronger and more experienced, had the necessary financial and organizational abilities. But in order to do this, the owners of the existing companies had to be convinced to sell them. There was no question about what to do with Uzdunrobita (which was subsequently purchased by MTS). The company belonged to people close to the Uzbek establishment, who owned the company through an offshore structure; it was sold at very preferable terms by the previous owners. However, the owner of Coscom was American firm MCT Telecom corp., an independent company, and the company could not expect favourable terms for the sale of its assets for obvious reasons. In order to devalue Coscom before the sale, the Uzbek authorities took a series of steps, which are quite usual and known to many foreign investors working in that country. 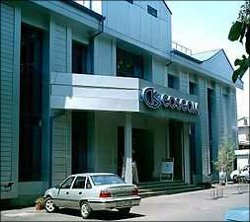 In 2006 a complex financial and operations review was carried out at Coscom, by various government bodies, including the tax authorities. Of course “serious violations” were found. The second “presale” blow to Coscom came in February 2007, from the Uzbek agency of Communications and Information (UzACI). This is when Uzbekistan’s first communications stoppage, organized by the country’s authorities, took place (actually, something similar happened to mobile firm SkyTel two years before the events described). Coscom’s license was suspended, and the mobile phones of its subscribers went silent in an hour. Did anybody remember this when MTS was disconnected? UzACI then released a statement, which said that on 30 January 2007 mobile services of the Uzbek-American joint venture Coscom were down for two hours (from 19: 55 to 21:45). As a result, around 293,000 out of the company’s 378,000 subscribers were left without communications in Tashkent and Tashkent, Buharm, Syrdar, Ferghana districts, as well as in parts of the Namangan and Andijan districts. The aforementioned communications failures caused the regulator to suspend the licenses, according to UzACI. Coscom said that the main reason for the failures in equipment and software were problems with electricity supply. The license suspension was even successfully contested judicially. The reader will later be convinced that the aforementioned expert was right twice, no – thrice. She rightly predicted the purchaser and the motivation of the Uzbek civil servants, although “the excuse” was unnecessary here. The authorities put pressure on the seller, with the aim of lowering the deal value, and on the buyer, in order to demonstrate influence and participate in the future fate of the operator for sale. The difference in the asset’s purchase price had to be reimbursed to the TeliaSonera Group. And quite soon. On 6 June 2007, Fintur Holdings B.V., a fully controlled TeliaSonera subsidiary, signed a contract to purchase a 100% stake in MCT Telecom Corp., which owned 99.97% in the capital of Coscom, which had been operating in the Uzbekistan market since 1996. Fintur Holdings B.V. was not buying Coscom itself, but the company that owns it. We still do not know who the real owner of MCT was, the owner’s real name may surface during the investigation being carried out by the Swedish authorities. Going forward in this story, trace of this company is lost. In Its press release of 17 June 2007, TeliaSonera said that the deal to purchase 100% of the shares in American company MCT was closed on 16 July 2007. The deal value was around 2 billion Swedish Krone or $300 million. Given the total number of the assets purchased and the company’s stakes in them, Coscom was not MCT’s largest and most profitable company. (The numbers in the table do not completely coincide with the information previously given by RBC, but not so significantly that the latter cannot be trusted). The end of the 17 July 2007 press release states that TeliaSonera will be represented by its company Fintur Holdings B.V. in these regions. It would seem that everything was above board – the deal was completed and Tero Kivisarri (head of business development in Eurasia) talked about the wide opportunities available. But, as they say – it looked good on paper. TeliaSonera’s reported accounts for 2007 (all the company’s public accounts are available on this page) say that talks were completed in December 2007, agreeing that 26% of Coscom was to be handed over to an Uzbek partner for assets. 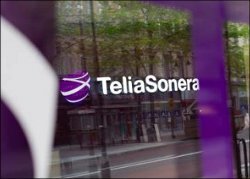 The Uzbek partner was given one put option, which allowed it to buy back its 26% stake in TeliaSonera after 31 December 2009, after previously specified conditions had been met. The Uzbek partner turned out to be the offshore company Takilant, which is registered in Gibraltar. Just to be safe and secure that the Uzbek partner existed, TeliaSonera Uzbek Telecom Holding B.V. was registered in Rotterdam, Netherlands, and 100% of it belonged to TeliaSonera. Then this holding received 99.97% in Coscom (the very same stake that used to belong to MCT from the very beginning). In 2008, 26% in TeliaSonera Uzbek Telecom Holding B.V. was handed over to Takilant. Yet there is no mention of Takilant paying any money for the 26% stake. The 99.97% stake in Coscom was indicated to be the main financial asset belonging to TeliaSonera Uzbek Telecom Holding B.V., which was valued at $222 million in 31 December 2007. The shares were also said to be exchanged for 1800MHZ/UMTS frequencies and phone numbers given to Coscom by an Uzbek partner, which had an agreement with Takilant. In the 2010 annual statement, the TeliaSonera Board of Directors reported that they increased their stake in Coscom to 94% by purchasing a 20% stake from Takilant in the jointly held TeliaSonera Uzbek Telecom Holding B.V. for 1.6 billion Swedish Krone ($222 million). The mystery Uzbek partner materialised as an offshore company, which owned a share in a Netherlands company, which, according to the reports, employs one person. So, what assets did Gibraltar-based Takilant own and what did TeliaSonera buy from them? First of all, it is important to understand two legal concepts in Uzbekistan: licensing and receiving permission to use frequencies. “Standard (simple) licenses concern licenses given to an unlimited number of legal and physical parties if they meet the conditions and demands in carrying out their activities. Individual licences are licences given to legal and physical parties on the basis of specific demands and conditions, which give the licensees exclusive rights, and which are limited in quantity. Individual licenses are limited in quantity by the territory in which the activities take place, by the activity site based on other measures, which are determined by the Cabinet of Ministers of the Republic of Uzbekistan. As a rule, individual licences are given out on a competitive (tender) basis. The order and conditions of granting individual licences, including conditions for holding competitions (tenders), are determined by the Cabinet of Ministers of the Republic of Uzbekistan. Therefore, buying a licence from another legal party or getting it as a result of this legal party’s liquidation is not allowed in Uzbekistan. Only Coscom could have had the license, and if Takilant was the owner of another company registered in Uzbekistan which had licenses, then there is no way in which it could hand over these licenses to Coscom. The list of the licensed types of activities has been established in Addition 1 to Law No 221-II, which is regularly amended. The list in this law does not include any separate licenses for 3G communications. So, when Coscom was sold, it already had all the necessary licenses. In addition, to get the licenses, no commercial structures are required: mobile operators’ licences are given out by UzACI, which has been authorised to do this by the Government (Cabinet of Ministers) of the Republic of Uzbekistan. - networks to distribute (broadcast) radio programmes. The system and plan of numerating telecommunications networks, as well as the system of domain names of the national segment in the world wide web, are determined by a specially appointed telecommunications body. Throughout our investigation of reports and documents, we have not managed to establish what assets the Swedes purchased from Takilant. Yet we are sure, that TeliaSonera’s shareholders and the official investigators will untangle this complicated web. We hope that our humble analysis will be of help.